Downtown Binghamton, New York, in New York’s Southern Tier, is at the cross roads on Interstate 81, a north/south expressway and New York 17, the Southern Tier Expressway, which runs from the New York metropolitan area to the Pennsylvania border. If you want to dine or stay overnight while traveling either of these expressways, there are unique and enjoyable hotels and restaurants in downtown Binghamton. These attractions are actually near the highway and could save you from the homogenous eateries and lodgings off the expressways. The Grand Royal Hotel started life at the turn of the 20th Century as the Binghamton City Hall. In the 1970’s, New York State, Broome County and the City consolidated offices in a new government center, a stone’s throw from the old City Hall. The building was then converted into a historic hotel. The last two times I stayed in the Grand Royal, five years ago, rooms were large and comfortable. The hotel offered a continental breakfast. I am not sure what the place is like today but it is still open and getting good reviews online. Also in downtown Binghamton is a Holiday Inn and a Doubletree Suites. I have not stayed in the Holiday Inn but the Doubletree is a new makeover of an older hotel. The hotel has comfortable rooms, capable and friendly staff and excellent coffee in the room. 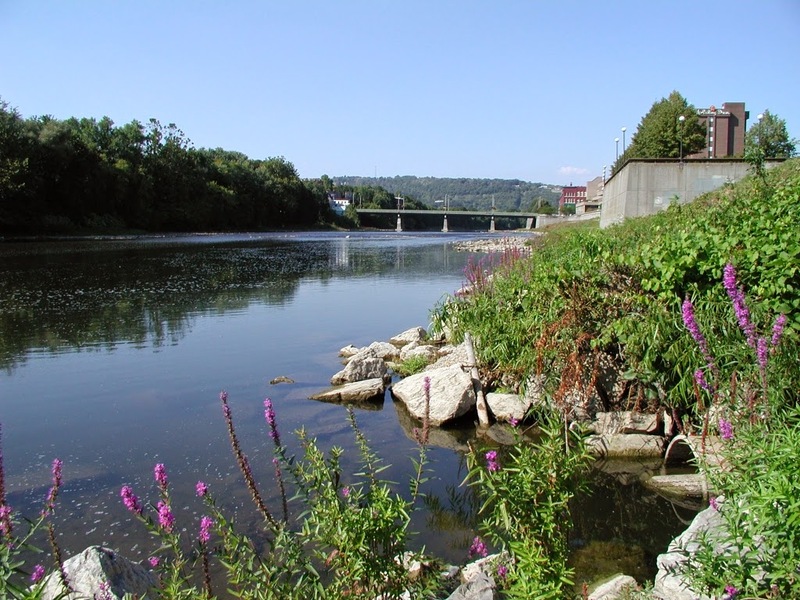 Next to the Doubletree is the Binghamton River Walk, a pathway along the Chenango River. On the river side of the River Walk is a flood wall, painted in welcoming colors. On the other side of the Walk are plaques commemorating pioneers in the civil rights movement. At one point in the River Walk, there is a metal stair case that allows walkers to go over the flood wall and walk down to the river’s edge. When traveling, I like to start my day with a walk or swim. The River Walk was one of the nicest places I have been in the last few months for morning exercise. 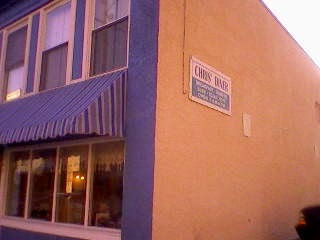 Chris' Diner serves a great breakfast in Binghamton! Chris’s Diner on State Street serves reasonably priced, appetizing breakfasts. The place has an agreeable hustle and bustle. The servers are friendly and efficient; breakfast arrives at almost the speed of light. For lunch and dinner, I enjoy the Lost Dog Cafe, 222 Water Street, across the street from the Doubletree. The Lost Dog has an appealing mix of standard dishes and new ideas. They offer tapas from 3 to 6 PM. One night in the Lost Dog, someone decided they had to hear Andrea Bocelli’s Con Te Partiro. They liked it so much that they played it four more times. Since there is no such thing to me as too much melodic opera or opera-like music, the restaurant has remained a favorite ever since that night. Sadly, I have not heard the song since. There’s even more to do in Binghamton that I have not yet experienced. For example, the city has a New York Mets farm team. If you are staying over and are tired of watching cable TV in the hotel room, this might be a great alternative. As you drive through Binghamton, the Southern Tier and nearby Pennsylvania, tune into WSQX FM, 91.5. This public radio station devotes a large chunk of time to jazz, something that is hard to find in the world of Top 40, robotic FM stations. Italian Ways: Back - - In Paperback! 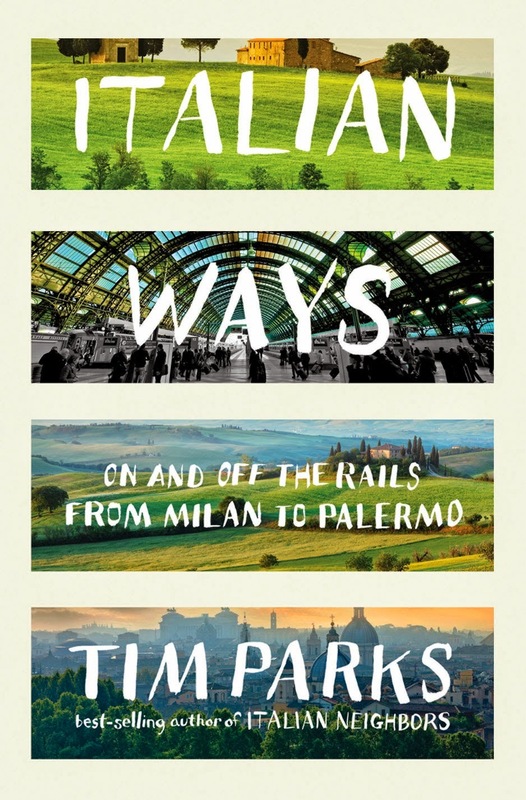 In August, 2013, I wrote a short review of Italian Ways: On and Off the Rails From Milan to Palermo, an excellent book on train travel by Tim Parks, a British expatriate in Italy. If you missed the chance to enjoy Mr. Parks in Italian Ways in hardcover, fear not. W.W. Norton and Company, Parks' publisher, has released Italian Ways in paperback. In fact, if you are traveling this spring or summer and need a great plane, train or bus read, the smaller format paperback might be an improvement on the hardcover. I was going to say "a great plane, train, bus or car read," but if you were barreling down the Interstate reading Italian Ways, that might not end well for all - - unless this is available as a book on tape. The redesign for paperback has kept the delights of the hardcover. The vivid cover is the same as in the hardcover edition and the whimsical, yet accurate drawings by David Atkinson.